When Tara Met Blog: Weird photos that I've snapped in L.A.
Weird photos that I've snapped in L.A.
Jesus drinks Starbucks? I saw this guy while at a stoplight in Hollywood and it wasn't remotely near Halloween or near a film set. 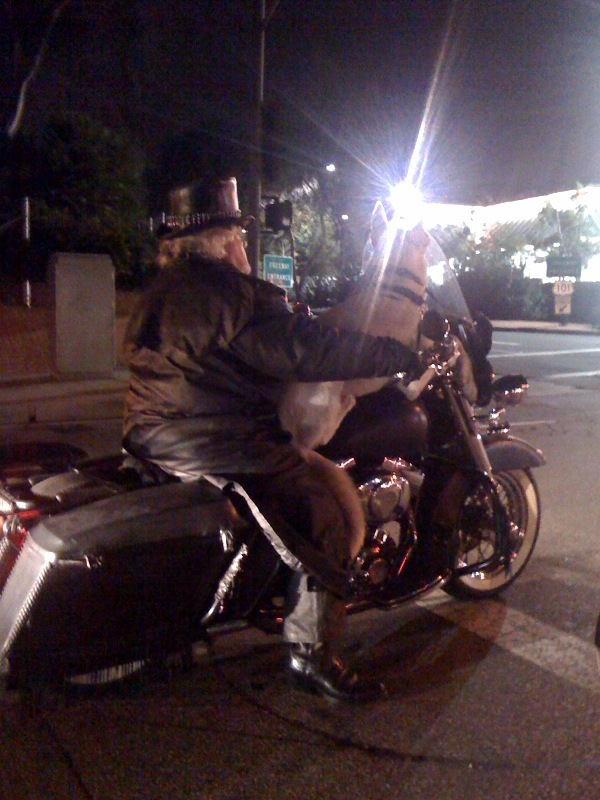 At first I thought the dog was driving. Either way, shouldn't he be wearing a helmet? 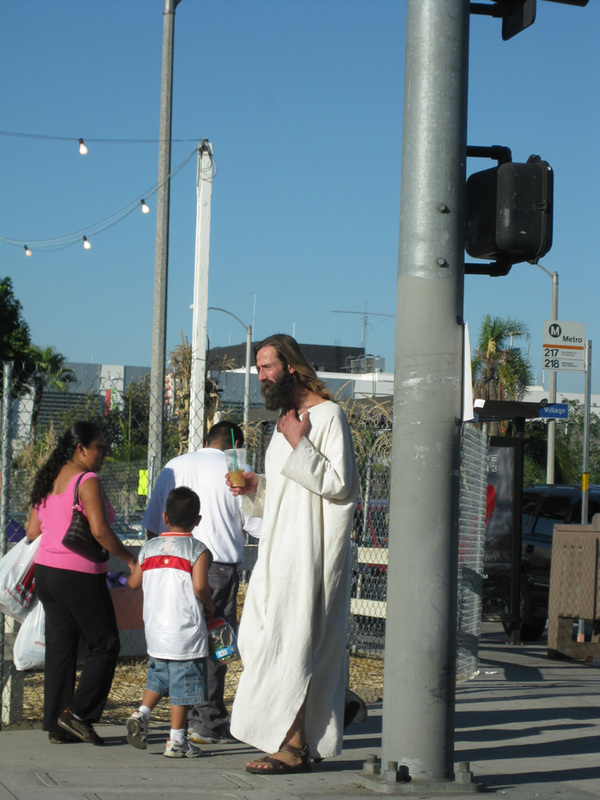 I love how the family walking next to Jesus doesn't even looked phased, lol. Great reason to ALWAYS have your camera on you! 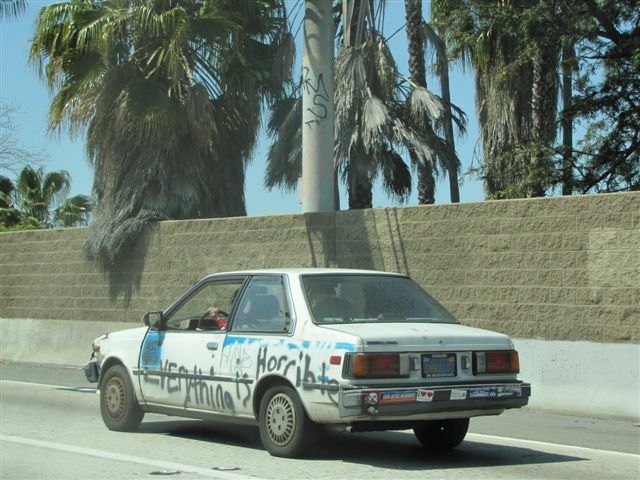 Haha, the car with "Everything is Horrible" spray painted on it made me laugh out loud when I saw it! Nice blog btw. Especially the celebrity blogging and all the info/pics about cupcakes. I'm craving a cupcake so much right now it's crazy, lol. I love Jesus. Once I saw him at Rage in West Hollywood. Another time at Baja Fresh on Hollywood Blvd. Jesus gets around. 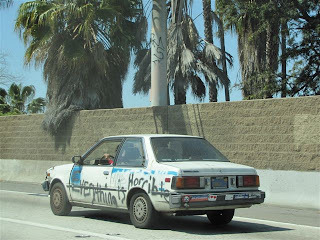 Too bad I couldn't find the photo of the Star Wars car that drives on the Westside often. It has R2D2 sticking out of the trunk and little laser guns on the sides of the car!